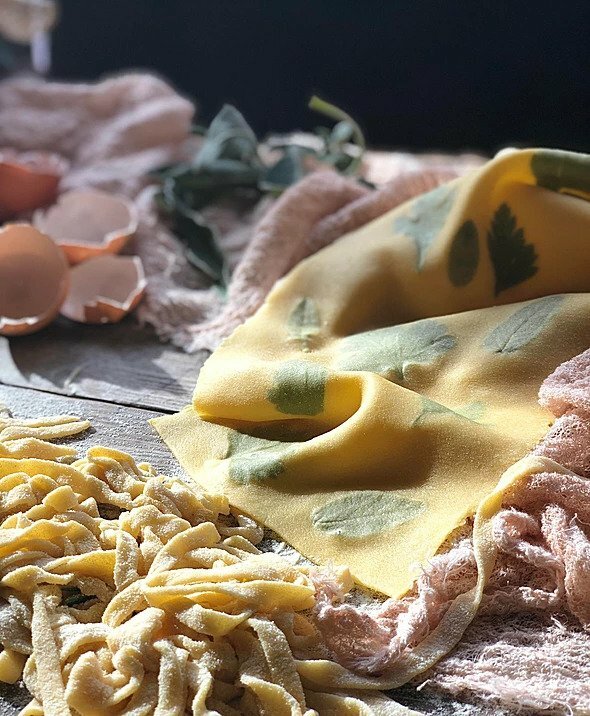 We will spend the day MASTERING THE ART OF MAKING HANDMADE TAGLIATELLE, TAGLIOLINI and different type of STUFFED PASTA and we will LEARN and PRACTICE THE ANCIENT CRAFT OF NATURAL DYEING with food scraps to create beautiful fabrics. You will be given personal feedbacks during the day, and there will be Q&A for each student. 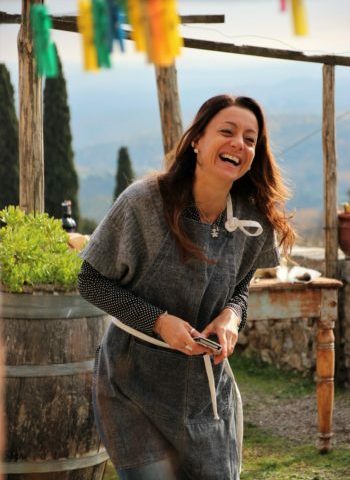 Anyone that wants to learn in a welcoming environment feeling part of a team of truly passionate people and go home with tangible new skills and stunning natural dyed fabrics, a completely sustainable fine handmade product. For booking and questions please fill the form at the bottom of this post. 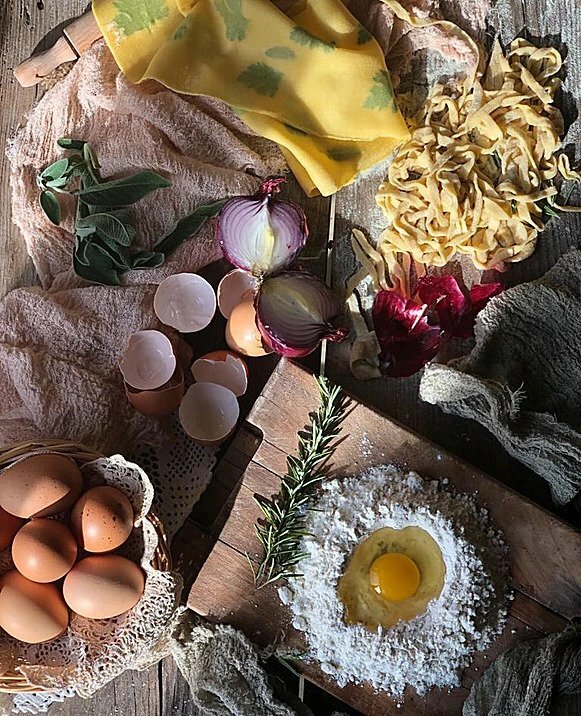 We will start the day with an introduction to Natural Dyeing followed by a workshop on how to make different types of pasta and fillings. 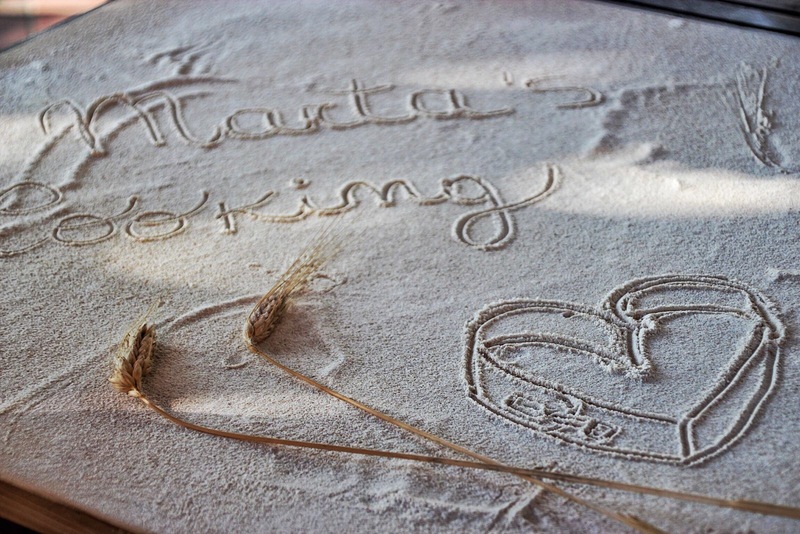 For lunch will be having your handmade pasta with a delicious sauce made by Marta. 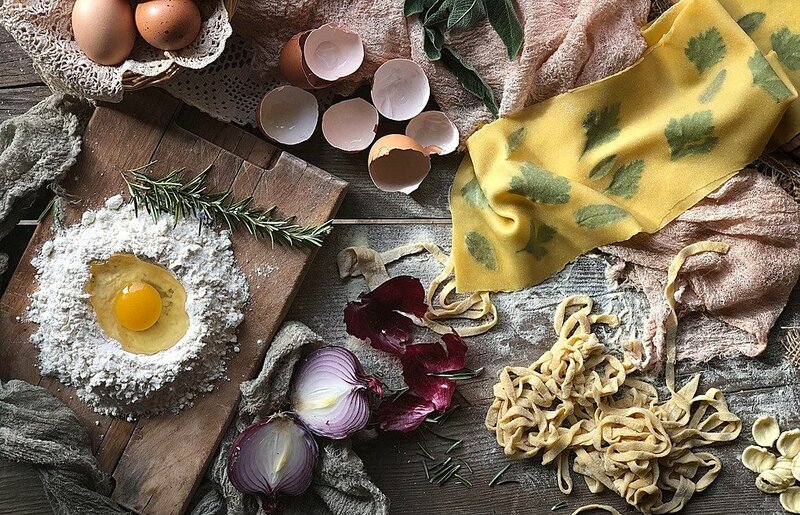 We will spend the rest of the day learning hands-on how to dye fabrics using scrap food & herbs. Each of you will get the chance to dye two fabrics. NOTE: The precise timetable of the workshop & information about your payment and cancellation policy will be given after you have signed up. When the payment has been made, you will receive an email of confirmation of your participation in the workshop.